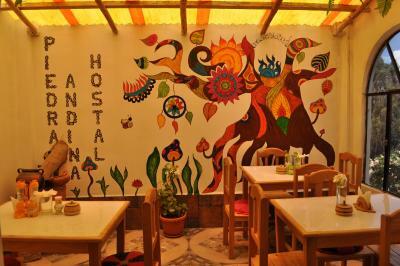 Lock in a great price for Hostal Piedra Andina – rated 9.1 by recent guests! The property has amazing amenities with 1) Best shower we've had in South America, 2) lots of communal areas with tables and hammocks to relax, 3) an amazing view of the lake, 4) was able to stay there all day after checking out and relax. The staff were very helpful. Quiet, away from the downtown crowd. Beautiful view from the balcony. Fairly well equipped kitchen. Staff was amazing, gave us a ton of useful info about the town and let us stay and use the facilities till our bus left at 6pm the day of check out. The hotel is a nice distance from town which gives you a quieter, more private feel. Good access to a nice lookout point as well. 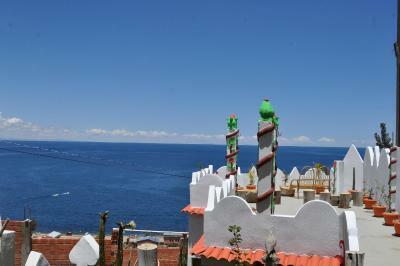 We liked everything about this wonderful hostal and wish we would have booked more nights. 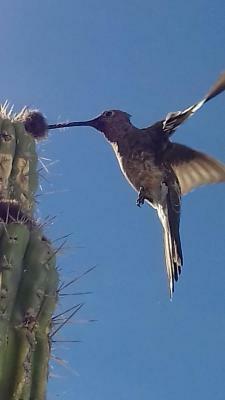 It was absolutely beautiful. Great breakfast, friendly helpful hosts, comfortable beds. The view over the lake is breathtaking! This place felt like a resort. Fantastic breakfast. Friendly staff. Beautiful hostel. Awesome breakfast. Beautiful and amazingly friendly family staff. Lovely balconies and views. 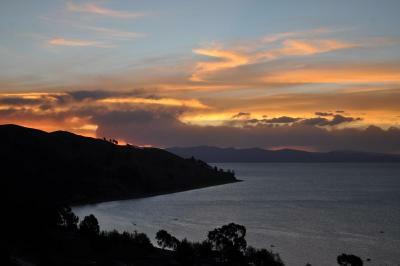 The view and sunset over Lake Titicaca was spectacular. The Hotel is very charming with is unique architecture, rooms are very comfortable, I loved the terraces!! Plus the breakfast was really good and the staff (it's a family business) was really attentive and caring. I have been in dozens of hostels and this is the best I ever been. The hostel itself is beautiful and well designed. There is a very nice view and atmosphere. The hosts are the nicest family, and they have a cute Alpaca!! its not in the center but it's not too far only 10 minutes walk so you have a quiet time, don't think twice just book this place!! 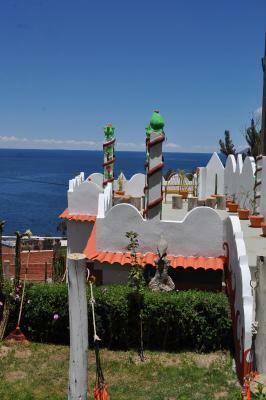 Located in Copacabana, Hostal Piedra Andina offers a garden. Featuring a terrace, the hotel is close to several noted attractions, around an 11-minute walk from Inca Gallows and around 0.6 miles from Nuestra Señora de Copacabana Cathedral. The property has a 24-hour front desk. At the hotel, rooms have a desk. 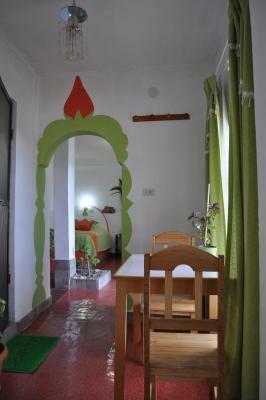 The rooms are equipped with a private bathroom, and certain accommodations at Hostal Piedra Andina have a balcony. All guest rooms at the accommodation come with a flat-screen TV with satellite channels. 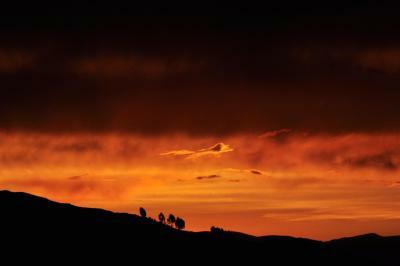 Hiking is among the activities that guests can enjoy near Hostal Piedra Andina. Popular points of interest near the hotel include Copacabana Market, The Calvary and Copacabana Stadium. 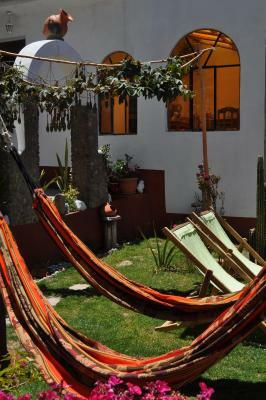 When would you like to stay at Hostal Piedra Andina? This family room has a fireplace and cable TV. This double room has a satellite TV and garden view. This family room features a view and satellite TV. 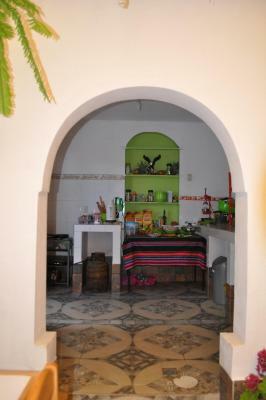 House Rules Hostal Piedra Andina takes special requests – add in the next step! A little bit far from the port area but still walking distance or cheap taxi ride away however the views are worth it. 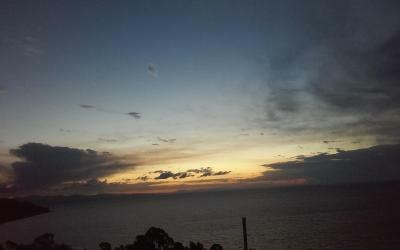 Sunset over Lake Titicaca was amazing. Everything was great! 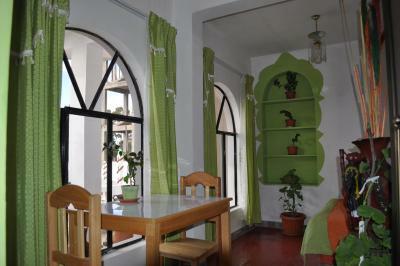 The hostel and the views are beautiful, the rooms are really nice decorated and the staff is extremely helpful as well. Would definitely recommend, it’s great value for money. There wasn't much to dislike about the property other than it being a good 15-20 minutes walk from the centre of the township (up a reasonable slope as well). However, the staff were more than happy to organise a taxi which was only 10 BOB, which we would recommend if you have big bags. Mattress is so so so soft but anyways we slept great! The construction is beautiful and offers the best possible views to the lake. 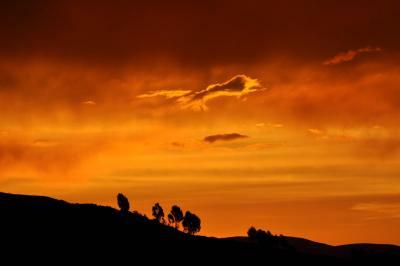 You need to take a taxi (10 bolivianos) or walk high, but it is totally worth it. I recommend the rooms with terrace, they are amazing to watch sunsets. The guy in the reception is incredibly kind and devoted to service. The included breakfast was also the best we had in Bolivia. Yes, it is not in the city center but if you do not feel like walking 10-15 minutes you can easily catch a taxi up for approximately 12 BOB. We enjoyed the walking though. We booked one night at the hostel and were positive surprised. The room was very clean, the bed comfy and warm. The solar shower was hot even in the morning. Great view of the lake. Breakfast was probably the best we have had while traveling through Bolivia and Chile for 4 weeks. Fresh fruit salad, cereals, fried/scrambled egg, cheese, coffee, tea, orange juice. The staff was very attentive and friendly. A bit outside the city center; taxi costs 10-12bs. Beautiful view on the lake! Good breakfast. Clean and comfortable rooms. Check in was late than scheduled. Room is pretty cold, the blank is enough but when you need to go out of it is pretty cold. The view is amazing. Breakfast is quite good. Nice place, very friendly, caring and helpful owner! He made us feel very welcome! Good breakfast! A warm friendly welcome from Renee with a map & explanations about the local area. 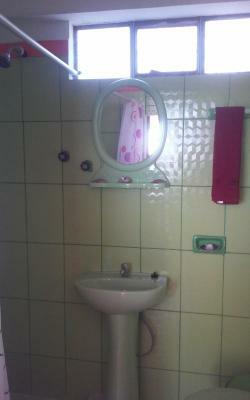 Everything was sparkling clean with fabulous facilities. A comfy bed & hammocks. The garden was lovely & very inviting. 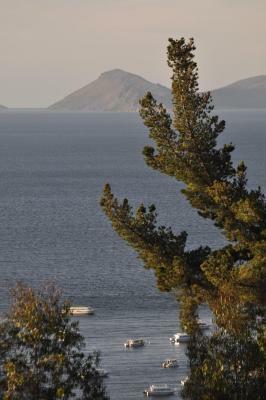 Unsurpassed views over Lake Titicaca & exceptional breakfasts. Exceeded our expectations, thankyou! Bed wasn't the comfiest, it was quite the hike up form town. This place is very quaint and unique. 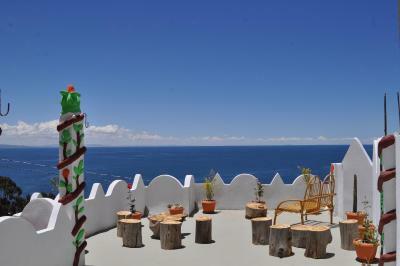 The rooms have spectacular views of the ocean and are very spacious and good value for money. A little far away to walk back from town (uphill). Guests must request a heater because the room could be cold even in March. Busboy forgot to order our taxi - almost missed the bus. Rooms were a little cold. 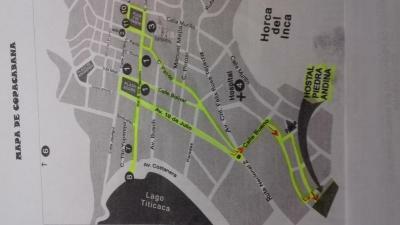 The hostel is located a 10 minute walk downhill to the centre of Copacabana. Uphill, this takes about 20-25 mins (this uphill walk may not suit someone unfit or with an injury). The walk to hostel is not lit at night and after an evening dinner we were very lucky we had a torch to guide us back - not a good idea to walk back after dark although the area felt safe! More like a hotel than a hostel. Fabulous clean and modern private room over looking the lake, with lovely outdoor terrace areas for watching the sunset! The breakfast was excellent although isn’t quite served early enough for some of the boat tours, so we unfortunately missed the eggs! The staff gave us a little souvenir when we checked out which was a lovely gesture. We really wanted to stay another few nights here but unfortunately they were booked up! 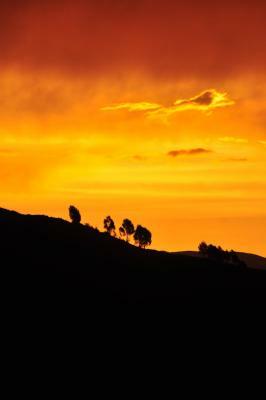 One of the nicest places we stayed in Bolivia. Food ordered from the in house menu was poor and arrived cold. Landscaping and communal areas were very well done. Beautiful views across the lake for sunset. Room was clean and spacious. Staff were very friendly and attentive. Breakfast provided was excellent.